Many people suffer from problems related to the malfunctioning of thyroid glands. Enlarged thyroid condition is also called or known as goitre. There can be several causes behind one’s goitre condition. An enlarged thyroid condition often causes throat pain to people. These affected people also have swallowing and breathing problems. Neck pain is also experienced by many patients who suffer from enlarged thyroid condition or goitre. Swollen thyroid conditions have become very common nowadays. It is not normal to have a swollen thyroid or an enlarged thyroid. Medical help and assistance is required when someone is suffering from goitre or an enlarged thyroid. Do not hesitate to contact a doctor for an enlarged thyroid treatment. 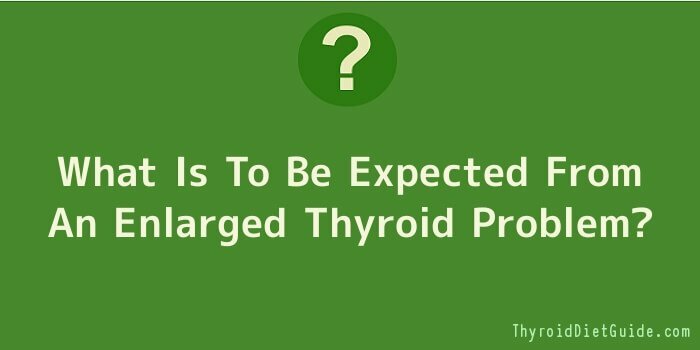 As mentioned earlier, an enlarged thyroid condition can be caused due to several reasons. It can develop due to a number of different conditions. Hyperthyroidism or hypothyroidism can cause goitre. Over functioning of the thyroid gland, that is – production of excessive thyroid hormones can cause an enlarged thyroid. Over functioning of the thyroid gland is called hyperthyroidism. On the other hand, under functioning of the thyroid gland, that is – inadequate production and level of thyroid hormones can also cause an enlarged thyroid. This under functioning of the thyroid gland is called hypothyroidism. Tumours and inflammation can also cause goitre or thyroid enlargement. Several complications are suffered by patients in such a condition. Swelling may appear in the neck region. The size of the swelling will range from small, barely seen in large swollen areas. Not all enlarged thyroid will cause pain. However, inflamed thyroid will cause immense pain to the patients. A large swelling or goitre can also press on one’s windpipe and thus, the person will have difficulties with breathing and swallowing. Many patients suffering from this problem also face several other problems, like – coughing, sore throat, hoarseness in one’ voice, so on and so forth. Many people also experience dizziness when they raise their arms above their heads. The signs and symptoms vary from one person to another. Not all patients will experience all the above mentioned symptoms and signs. One or more signs will be noticeable in their cases. The most important thing one should remember for enlarged thyroid treatment is medical help and assistance is invaluable. Consult a doctor and get much needed medical help for your thyroid problems. Do not be casual about your health and safety. Your physician will definitely check your neck for swelling and he or she will also recommend several diagnostic tests. Blood tests, thyroid scan, ultrasound, biopsy, etc. are very important here. Depending on one’s swelling and the size of enlarged thyroid, the doctor will recommend specific treatment and medications. Home care is also very important here. One will have to change their life style also. If your thyroid does not respond to medications and treatments, doctors will suggest surgery. Get a second opinion from another doctor if you want.